I’m in love with freshwater pearls now. I just got a great supply of these lovely magenta pearls, and they look great with blacked sterling silver hoops. 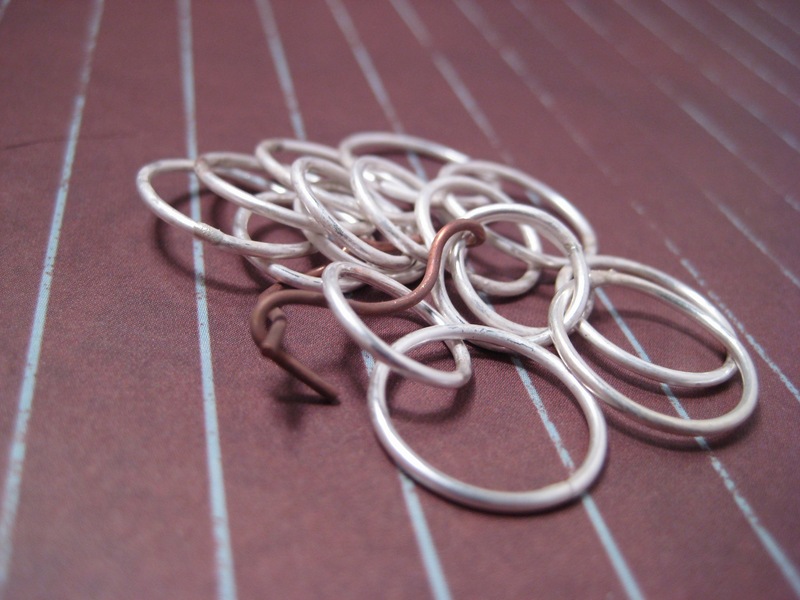 I linked three hand-forged hoops together and hammered them slightly out of shape. 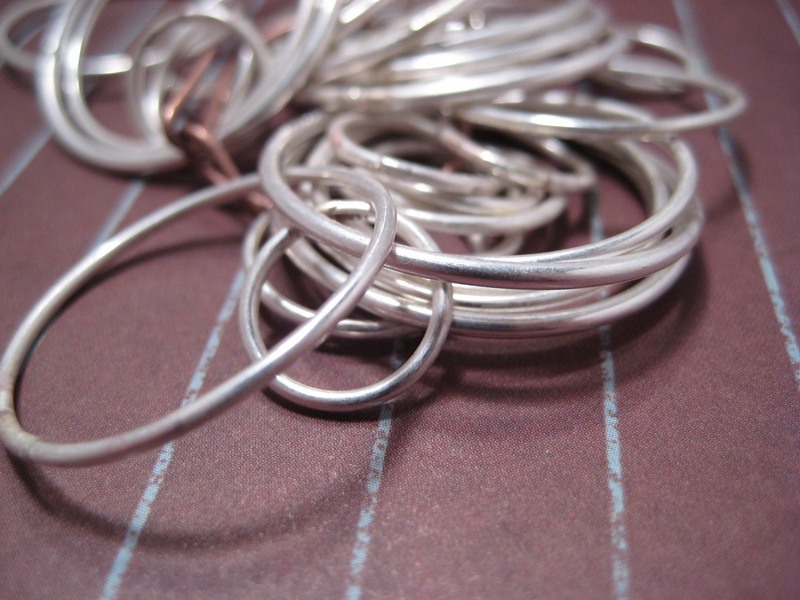 I love the irregular, organic look of these earrings. They are now listed in my Etsy shop!